Chicago native with New York roots and a Northwestern University graduate, Amelia Phillips has been writing since 2006. She has performed in storytelling events across Los Angeles, though GROW A PAIR OF…WINGS is the first time her words will be performed in a full-length stage production. Currently, Amelia is working on her third screenplay, a fantasy coming of age feature based on the graphic novel, A BINTEL BRIEF by Liana Finck. 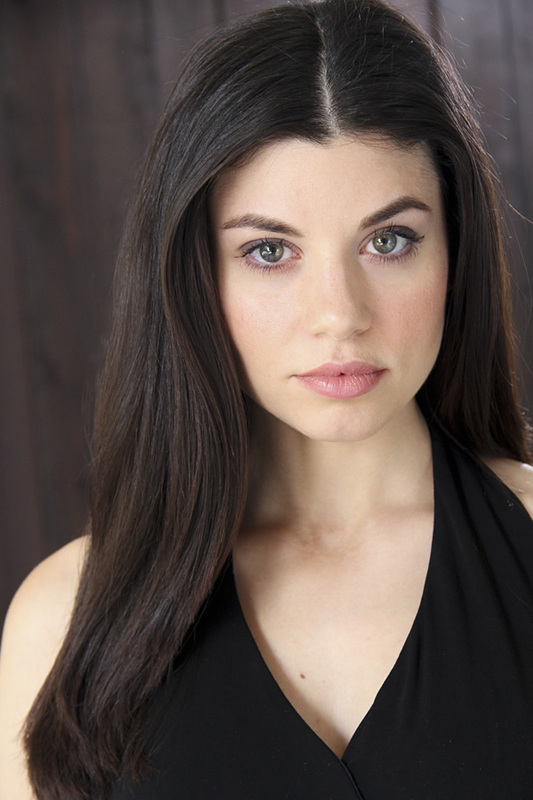 As a voiceover artist, you may recognize her as the voice of Save-a-Lot, Metro 2033 Video Game, and Burwood University. ATOMISM, the short film she produced and starred in, has received funding to expand into a feature film. FRIDGE TALES, an animated short that she wrote, produced and voiced was featured in 12 film festivals across the United States and Canada. TV credits include HBO'S FUNNY OR DIE PRESENTS… Outside of show business, Amelia has worked as a tutor for high schoolers and college students with learning disabilities, and she was previously the program director, counselor and drama teacher at Camp Max Straus, a residential summer camp for underprivileged children. Amelia would like to thank Kenyon College's Playwrights Conference and Steppenwolf's Aaron Carter for helping to develop this play. Also, many big thanks to FRESH PRODUCE'd LA for providing a home and a support group, and to her family for being an endless font of love and material. 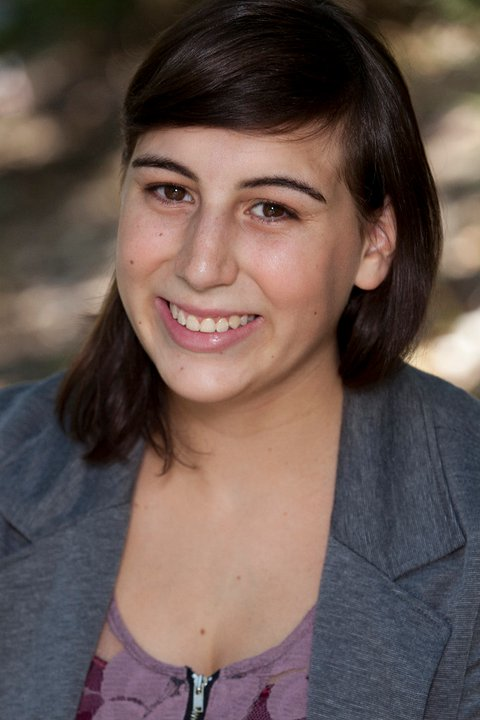 Amelia has studied with Playhouse West, Lesly Kahn, UCB, and Nancy Wolfson. You can find her at www.ameliap.com and www.twitter.com/heyameliap. Tyler Cook comes from a theatre background. Some of his recent work includes LES MISERABLES, DETAINED IN THE DESERT, BERLIN COWBOYS and THE BIRD HOUSE. Although he possesses a passion for theater that began at an early age, his diverse body of work ranges from dramatic independent film leads, to comedy improv with the Upright Citizens Brigade, to performances on network shows for ABC, NBC, CBS and Disney. He receives training at Hollywood’s Theatre Craft with coach and mentor Rick Walters whom he would like to thank for providing continued guidance and support. When he’s not performing, he’s climbing, surfing and volunteering at different foundations (NKLA and MPTF). Tyler anticipates a very exciting year. Riva Di Paola is a Canadian with Italian roots. Off-Broadway: THE AWESOME NEWS (Wife) by Jeremy Kamps, DIE HAPPY (Jodie) Manhattan Theater Festival, QUAKE (Lucy) By Melanie Marnich, FOOTPRINTS IN THE SNOW (Zambi) By Brett Dalton (staged reading), MARINE LIFE (Sylvia) by Rosa LaBorde (workshop). Regional theater: INCH OF YOUR LIFE (Jill) Good Company Theatre, A WHIMSICAL DAY (National Tour) Touring Players, Disney Cruise Line (Various). She also co-wrote, produced and starred in, THE DESSERT CLUB (Fringe Festival) in which she won the Women In Film & Television development grant to create an original sitcom series through SUNtv. Riva’s been married over 800 times! ...playing the title role of TINA in Second City’s TONY N’ TINA’S WEDDING. Film credits: DON’T CALL IT A COMEBACK Dir: Ramin Serry/ Streetlight Films, IN THE GREY Dir: Shawn Spitler, UNDER THE BIG TOP Dir: Nara DeMuro (SF), VICTORIA VICTORIA (NY Filmmakers Group). TV credits: Narrated A&E’s TV Pilot KILLER BEAUTY, starred in 2 seasons of CRIMES OF FASHION for STARtv and The Fashion Television Network. Her voice can be heard on hundreds of National Commercials, Video Games, Radio Plays and Animations. Fun Fact: Voice of Rebecca Chambers in the video game Resident Evil 0. Proud mentor at the Young Storytellers Foundation. Riva studied at Circle In The Square Theatre School in New York City. 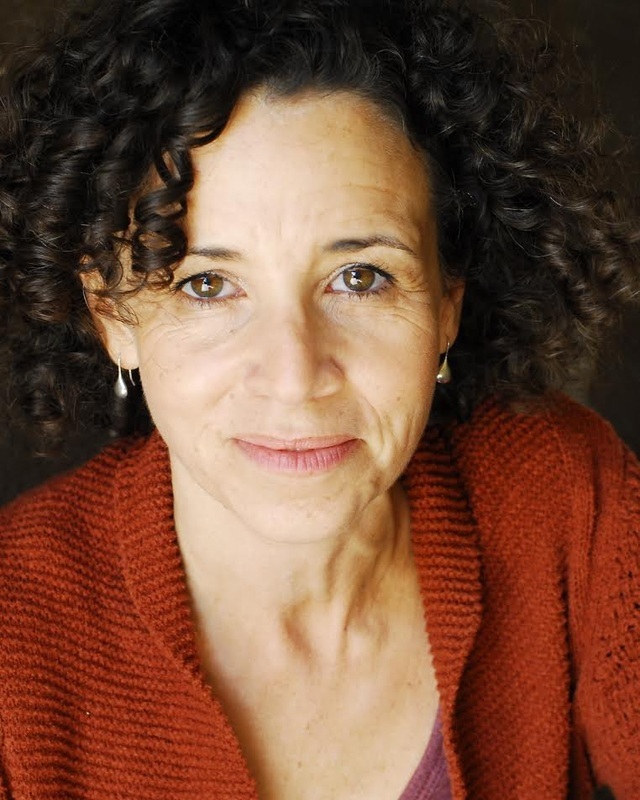 Onstage, Jennie Fahn was just seen as Lady Lucas/Mrs. Lake in the acclaimed production of PRIDE AND PREJUDICE at Actors Co-Op. Other LA stage appearances include JACKSON FROST and ALICE IN ONE-HIT WONDERLAND 1 and 2 (Troubies at the Falcon), ONE NIGHT STANDS (Avery Shreiber Theater), GLADIATOR: THE MUSICAL (El Portal), AMADEUS (Hollywood Bowl), THE WILD PARTY and ROAR OF THE GREASEPAINT (Musical Theater Guild), UP THE WEEK WITHOUT A PADDLE (Neurotic Young Urbanites), A NEW BRAIN and MERRILY WE ROLL ALONG (West Coast Ensemble), and WONDERFUL TOWN (Reprise!). As a writer, she wrote the book to BROADS! THE MUSICAL (music by Joe Symon), is the writer/performer of YOU MUTHA! A ONE-MOTHER SHOW (which ran for two years in LA and as part of the New York Fringe Festival), and won best-writing awards for her short film TEA WITH GRANDMA (in which she co-starred opposite Tippi Hedren). She was one-third of the The Jersey Girls, a three-woman comedy team that performed extensively throughout Southern California. She has a leading role in the upcoming feature MUSE. Some of her TV credits include: HEROES, WITHOUT A TRACE, THE BERNIE MAC SHOW, MY NAME IS EARL, WILL AND GRACE and BECKER. Jennie is the proud wife of Jonathan and mom of Harrison and Sammy. After a stint in the U.S. Navy in the mid-seventies, Robert Dominick Jones headed west to venture into film and television where he guest-starred in a number of TV series. A native Brooklynite, Robert was one of the original members of the famed Everyman Theatre Company of Brooklyn. Founded by Geraldine Fitzgerald and Brother Jonathan Ringkamp, this troupe was the premiere Street Theatre Company in the 1970's. They performed original musicals including "Everyman and Roach", "Elena," and "Mister Esteban," as well as the classics at Brooklyn Academy of Music, Lincoln Center, and summer festivals in parks and city streets. He is honored to have studied at The Stella Adler Acting Conservatory during this wonderful time. 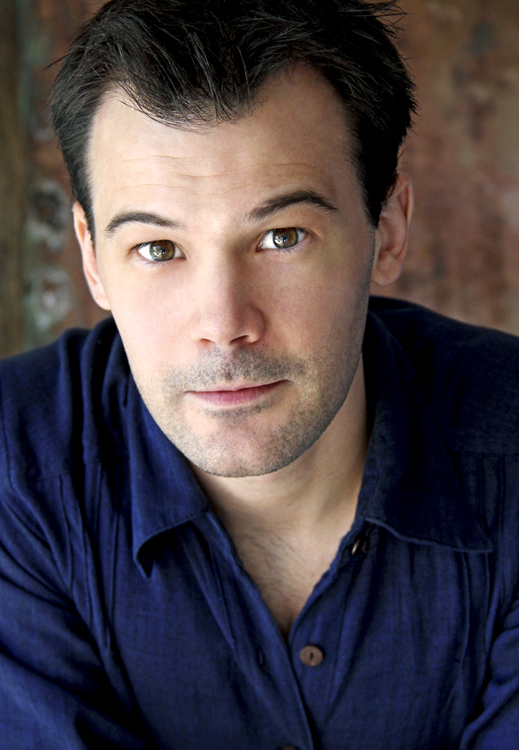 He recently appeared as Cheever in “On The Money” at the Victory Theatre and is a member actor of Theatre 68. Robert also workshopped with Judith Malina and Julian Beck of The Living Theatre. He performed numerous plays with The Everyman Company and other productions at great venues around New York City and Brooklyn. He is a SAG/AFTRA member. Donna Simone Johnson is an LA native who has toured nationally with HIGH SCHOOL MUSICAL, NOELEMENT and with the internationally acclaimed CLOUD 9 (RITu, Liege, Belgium). Regional: THE LION KING (The Pantages), PO'RKNOCKERS (Portland Center Stage), LIFE WITHOUT PAROLE (The Broad Stage), HEADS OR TAILS (Union Square NYC), SCRATCH (Royal George). Other credits include the West Coast Premiere of MASSACRE: SING TO YOUR CHILDREN, a one woman, multimedia adaptation of TWILIGHT: LOS ANGELES, 1992, THE CHERRY ORCHARD at Theatricum Botanicum, RIOT/REBELLION at Watts Village, DOG SEES GOD at the Celebration Theatre, and ECHOES OF A THOUSAND HILLS (Center for New Performance) with Rwandan theatre artist, Hope Azeda, to name a few. Film/TV includes: THE INHERITORS, HIGH SCHOOL MUSICAL 2 & 3, NBC’s Teachers and Disney’s Kickin It. She holds a MFA in Acting from CalArts. Donna sends love to her husband, Chad and to her puppy, Luca. 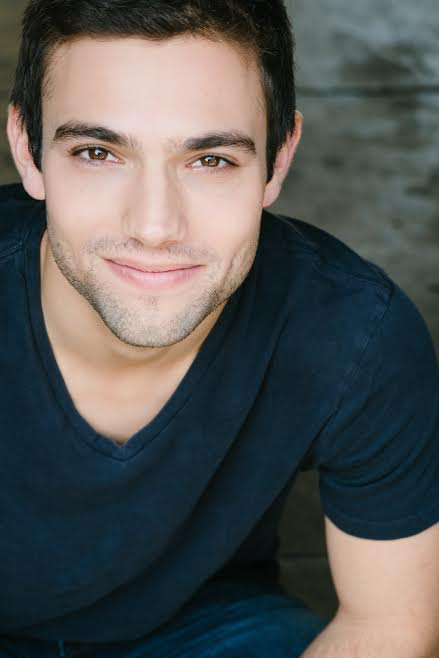 Greg Nussen is thrilled to be making his Los Angeles stage debut! Off Broadway: THE TEMPEST, A FOUR-LETTER WORD (Classic Stage Company), THE BELLE’S STRATAGEM (Pearl Theatre Company). Other New York: The GOVERNMENT INSPECTOR (3LD), OLD PAPER HOUSES (Piehole), A MIDSUMMER NIGHT’S DREAM (Pulse Ensemble Theatre),THE DIARY (Theater for the New City). Regional: A FOUR-LETTER WORD (World Event Young Artists, Nottingham, England), ARCADIA (Bad Habit, Boston), EUYDICE (IDS, Boston), AS YOU LIKE IT (Longwood, Boston). UCB Improviser since 2010. MFA, Columbia University. Much love to my family, especially Julius, and my LA Columbia Cohorts Marianna & Kevin. 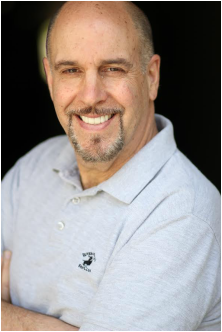 Barry Vigon is a member of Actor’s Equity. He holds an M.F.A. in Acting from Columbia University. His acting credits include: GREASE on Broadway. Off Broadway: EL GRANDE DE COCA-COLA. Regional theater: GODSPELL, MOOD INDIGO, and THE BED BEFORE YESTERDAY. Partial TV credits: SEINFELD, SOAP, CAGNEY AND LACEY, BROOKLYN BRIDGE, and SABRINA THE TEENAGE WITCH. Partial film credits: ALL THAT JAZZ, SUNSET, CONTRACT ON CHERRY STREET. Mr. Vigon is also a television Writer- Producer, having written numerous pilots and sitcoms including, “Soap”, “Facts of Life”,”Fame”, “Roseanne”, “Punky Brewster”, “Who’s the Boss?”, “Martin”, “Veronica’s Closet” and “The Mickey Mouse Club” starring Justin Timberlake, Britney Spears, Christina Aguillera and Ryan Gosling. He teaches Television Writing at U.C.L.A. Extension and is married to his wonderful wife, Baillie. Stacie Hadgikosti is thrilled to be making her directorial debut with Amelia Phillips' new play, "grow a pair of…wings." She was a part of the original workshop production and is excited to see the play grow its own set of wings. Stacie received her Bachelor of Arts in Theatre from Western Michigan University and her Master of Fine Arts in Acting from Purdue University. She is most fulfilled when she is working on and delevoping new works and is currently a guest artist with FRESH PRODUCE'd LA theatre company. Stacie also worked as a Resident Artist with Jeff Daniels' Purple Rose Theatre Company at which she was a part of over ten world premieres. Some of Stacie’s credits include, "Growing Pretty" by Carey Crim, "White Buffalo" by Don Zolidis, "Consider the Oyster" by David Macgregor. 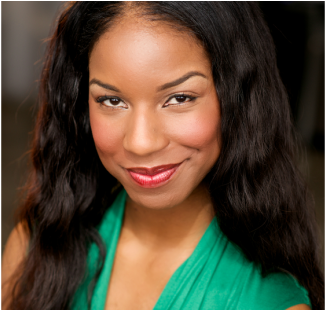 Stacie recently performed with The National Theatre for Children and is a member of Actors Equity Association and SAG-AFTRA. Her film credits include Sony Pictures’,THE GAME OF DEATH, LITTLE MURDER, MOOZ-LUM, OPENING NIGHT and Brauer Productions of DOGMAN 1 & 2. Hope you enjoy the show! Murray Burn. Innovation, extra-ordinary and honesty are the fundamental principals that influence Murray Burn as a theatre and film designer. He has designed sundry productions with aplomb, each varying in style and genre, being recognized and praised for his unique style and eye. Murray is passionate about upcycling, creating multidisciplinary art and using the craft to make a positive difference. Murray is also an avid knitter. 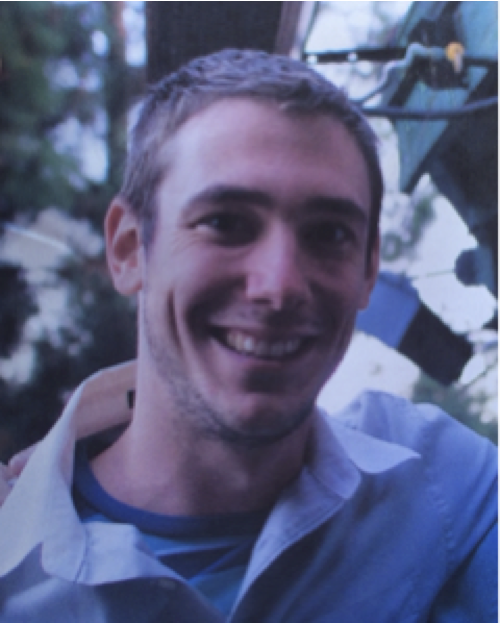 Murray comes from South Africa after studying at the prestigious University of Cape Town. Following his dream and passion, he is thrilled (and slightly overwhelmed) to be in Los Angeles working with such a creative, adept team on an original, heady production. Daniel Tator is a graduate of UCLA's Theater Sound Design Program. His departmental design credits include ANGELS IN AMERICA, PAINS OF YOUTH, PARADISE LOST, and THE CLEAN HOUSE. Outside of UCLA, selected theatrical designs include Los Angeles Theater Center's FAITH and THE PSYCHIC LIFE OF SAVAGES, The Hayworth Theatre's BUSTING OUT, and Pacific Resident Theatre's IDYLLIC WORLD. As an assistant designer, he has helped to create the sound for The Geffen Playhouse's RED HOT PATRIOT as well as the world premiere of MODROCK THE MUSICAL at the El Portal Theatre. He also designs and engineers other live events, such as concerts, corporate theater, and fundraisers on the West Coast. Benjamin Robert Watt was born and raised in Houston, Texas and moved to Los Angeles in January 2014 after graduating Louisiana State University’s acting program. 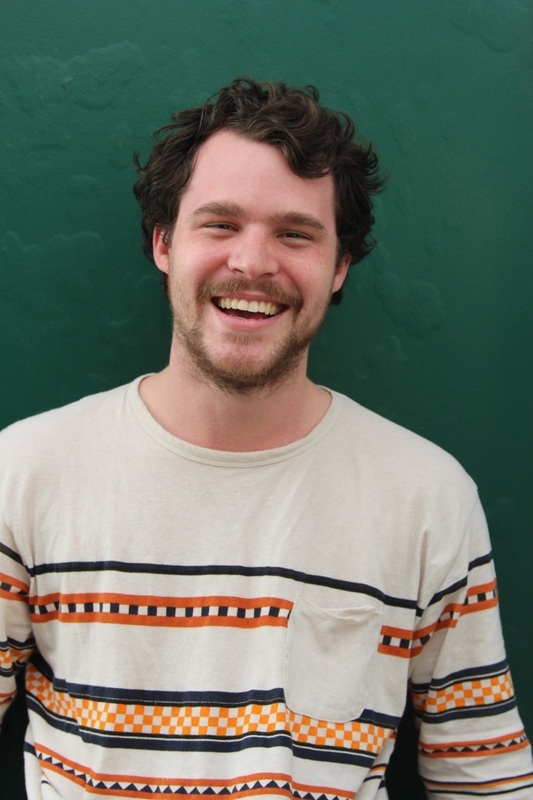 His work history includes stage management as well as light and sound design. His past credits include PASSION PLAY and SACRED ELEPHANT (as stage manager and light designer) with the Odyssey Theatre Ensemble. He has also worked with Theatre Planners on THE GUARDSMAN and 2014 Hollywood Stag(e) Festival shows THE CRACKERJACK, !DEATH 40-FEET-TALL!, and SHE'S HISTORY! and THE LAST TEMPTATION OF PAULA DEEN (as sound designer) at the 2014 Hollywood Fringe. He is currently on tour with Break The Floor Production’s NUVO, a dance competition and convention. His misadventures can be followed on www.benjaminrobertwatt.com. Lyndsay Lucas is a professional Stage Manager. Some of her credits include Assistant Stage Manager for THE FANTASTICKS and IT'S A WONDERFUL LIFE: A LIVE RADIO PLAY, Stage Manager for INCORRUPTIBLE and FOR THIS MOMENT ALONE at Pierce College, OUT OF MY HEAD: PART 5 at The Actors Forum, and IF YOU CAN GET TO BUFFALO at Son of Semele. When Lyndsay is not stage managing, she is learning more technical theatre at Los Angeles Pierce College. Nate Mitchell has worked professionally as an actor, director, and fight choreographer since 2008. Nate works together with actors and directors on both theatre and film productions developing character movement and choreography. His most recent fight direction credits include theatre productions such as, THE THREE MUSKETEERS, NOISES OFF, OTHELLO, and A STREET CAR NAMED DESIRE. Nate has taught stage combat and acting classes as adjunct faculty or guest lecturer at several schools including the University of Michigan, Western Michigan University, Washtenaw Community College, and Macomb Community College. 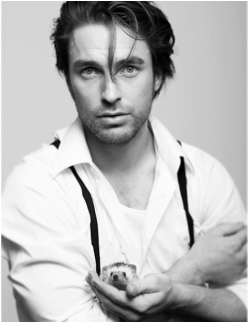 Nate currently teaches stage combat at the American Music & Dramatic Academy in Los Angeles. Film credits include, THE KING’S ROOK, CEDAR RAPIDS, DEADRISE, and DOMESTIC PROTOCOL. 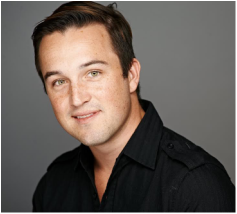 Nate is an SAFD Certified Stage Combat Teacher and received a BA in Theatre Performance from Western Michigan University, as well as an MFA in Theatre Practice and Physical Training for the Actor from the University of Exeter, UK.